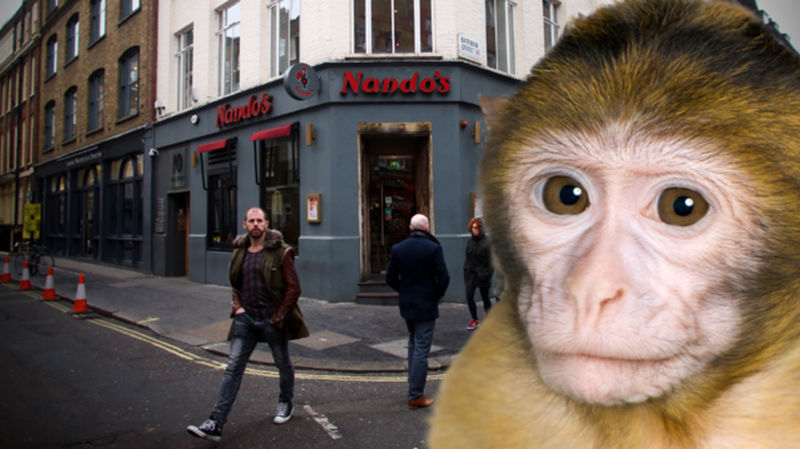 A few weeks ago, certain corners of the internet went abuzz about "having a cheeky Nando's." It started in England—Nando's is a British fast-food chicken restaurant—but quickly spread elsewhere as baffled Americans wondered "what on earth do they mean by cheeky?" mate it's hard to explain mate it's just like one day you'll just be wif your mates having a look in jd and you might fancy curry club at the 'Spoons but your lad Calum who's an absolute ledge and the archbishop of banterbury will be like 'brevs lets have a cheeky nandos instead." and you'll think "Top. Let's smash it." Which ... doesn't actually help. The problem was, while the Brits knew how to use it, they were having a hard time figuring out how to describe what it meant. (OK, some of them were probably being deliberately obscure.) Cheeky's just a cheeky little word to define. Our gut feeling was that the meaning of cheeky has expanded and this was happening more in the UK than in the U.S. In terms of definitions of cheeky, there’s the older meaning, which you find in the OED and other dictionaries, where it’s used for a child or possibly to mean they’re a little bit naughty or rude. Then there’s the cheeky Nando’s version, as exemplified in the following tweet: ‘One of life's pleasures is a cheeky nap in the afternoon.’ A nap cannot be rude or naughty, but you can be a little bit naughty for having a nap, so the cheekiness is not a quality of the thing itself, but of the speaker. But what about that second type of sentence, as in cheeky Nando's or going out for a cheeky beer/cheeky pint after work? Sure enough, Bailey and Durham found that the British respondents rated these sentences better than the Americans or the group of other countries. @linguist_laura @drswissmiss wait. is :P a cheeky face?? I UNDERSTAND EVERYTHING NOW. @linguist_laura @GretchenAMcC agreed. :P is definitely a cheeky face. Hooray! This got us wondering: If :P is the emoticon counterpart to "cheeky," is there also an emoji version? The tongue stuck out emoji is an obvious contender, but another emoji that has a hard-to-define, sometimes saucy meaning is the smiling pile of poo emoji. So what do you think? How would you use cheeky? Does it have the same meaning as :P for you? Bailey and Durham have added a few new questions, so you can take their cheeky survey here.